A quality assurance audit is an assessment where an auditor examines and validates numerous records and processes associated with an organization's quality assurance system. In general, the objective of a process quality assessment is to find out whether the company is complying with its stated quality objectives and that its quality systems is ensuring consistent delivery against these objectives. If the organization is not achieving its quality objectives, it must modify its system to ensure that it does. An organization should conduct both high level and detailed examination of its systems and processes in order to determine whether it is in compliance with the required standards. For instance, like those established by the International Organization for Standardization (ISO). Simply put, International Standardisation Organization is an independent body which publishes agreed global standards that companies can use to ensure compliance with formally agreed and recognised standards. Quality auditing programmes are usually carried out at pre-set time durations and make certain that the organization has clearly described and actionable procedures which lead to the execution of the desired level of quality within a process or finished manufactured product. These audits aid management and help them determine if their organization is operating in accordance with the required standards. Such audits will typically include detailed, results-based finding based on close examination of all aspects of operational processes. Following the update of the ISO 9001 from its 1994 to 2015 requirements, audit processes themselves have evolved from merely step-by-step “box ticking” methods towards driving improvements in quality. This realised by creating a collection of processes within an organization that are specifically created to construct an appropriate “quality policy” for an organization. Then the associated processes that will lead to the achievement of quality goals all with the customer’s needs firmly in mind are developed. This is known as a Quality Management System or QMS. Typically, a quality assessment is normally conducted by impartial and experienced auditors that have the required experience and expertise within the field of operation being audited. In addition, an organization could also choose to carry out regular internal audits testimonial of its QC systems. 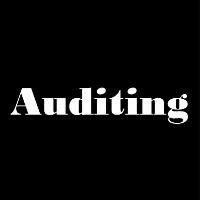 Members of the management auditing team are professionals that have detailed expertise relative to auditing techniques, procedures and reporting. Such individuals then subject themselves to “hands-on” activities studying, assessing, confirming and reporting on whether each part of a quality system is compliant or non-compliant. During a typical quality auditing process, the auditor first conducts a strategic system analysis. Typically, this method usually details the scope, procedures and the systems and processes to be evaluated. The strategic analysis also clearly identifies the requisite published certification standards that should be utilised. As an example, an auditor usually should evaluate any one of an organization’s agreed quality administration standards, techniques and guides. When the strategy has been prepared, the auditor transmits it to the organization for approval. If audit findings indicate that the organization is not complying with any aspect of its quality system, auditors will examine, document and report on this information to senior management. Normally at the end of the quality auditing process, the auditor publishes a report which generally consists of an overview of the overall audit results together with details feedback concerning activities which are operating satisfactorily and those which require remedial measures to bring them up to scratch. Generally speaking, the evaluation details the auditor's overall verdict and ranks the organization’s quality system often benchmarking it against other organisations that operate in a similar field.